The management board of the Politecnico has decided to renew for the academic year 2018/2019 the initiatives for mobility and culture which enable students of Polito, who are enrolled full-time, to benefit from reductions on the purchase of travel tickets and the Abbonamento musei (tickets for museums). In order to benefit from these initiatives for mobility and culture, students will have to send an explicit request following the procedure available on their personal page by 28th December 2018. Here are some important news of the academic year 2018-2019, about both requirements to benefit from reductions and the procedures that will followed to allocate them. From 3rd September 2018, the procedure will give – ONLY TO THE ONES WHO HAVE NECESSARY REQUIREMENTS – the possibility to ask for reductions. You can find requirements at the end of this communication. The possibility to ask for the refund of travel tickets will be viewable only after the assignation of the definite contributing level. As concerns travel tickets, it is confirmed the “refund” system: during the online procedure, you will have to attach the scan of the receipt of purchase of the season ticket, in which there have to be biographical data of the student. 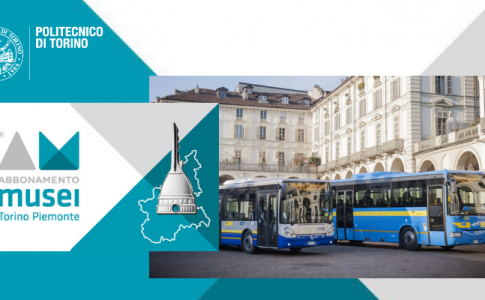 Season tickets which can be refunded: season tickets purchased from 1st July 2018 to 28th December 2018 which last from 10 to 12 months (tickets lasting a week or a month won’t be accepted) of any transport net, with which you can reach the Politecnico (GTT, Trenitaluian Arriva-Sadem, …). In contrast to the academic year 2017/2018, also students with a revenue above 30.500 euros can benefit from the reduction, if they have merit requirements, as established in the Legge di Bilancio 2017 and reported in the table below. For everyone, the maximum refund will vary according to the definite contributing level, according the table which follows. It will be necessary to fill out the request for reductions (or attest through the procedure that you don’t want to ask for a reduction) by 28/12/2018, so that you have a definite economic level for the academic year 2018/2019. The refund will be automatically allocated to the student (you cannot decide to leave the sum as credit on the virtual current account or collect it any longer): to fill out the procedure for the request of reductions you will have to select in the section Fees and Reductions of the Online secretary’s office, the mode you want to receive the refund. *the value of the season ticket will be refunded if less than or equal the maximum sum; if it is greater, the maximum sum will be refunded. The sum has to be given together with the request, following the instructions of the online procedure, as stated before (without deposit, it won’t be possible to conclude the procedure of request). Merit requirements needed to benefit from reductions are established by the Legge di Bilancio 2017, and given below. 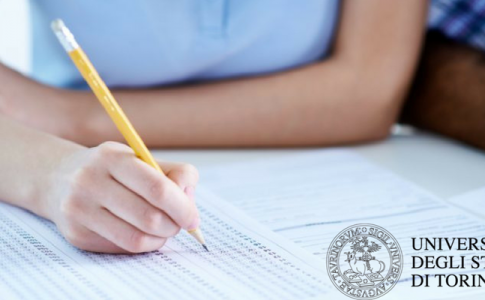 Students enrolled in the academic year 2018/2019: no requirements. Students enrolled for the third and fourth time in a degree course / enrolled for the third time in a Master’s degree course: they should have got at least 25 UFC in the period from 10th August 2017 and 10th August 2018. To get further information on the Abbonamento musei, click here. Students taking part in the Percorso Giovani Talenti have to follow the same requirements and mode of request established by the initiatives for mobility and culture, in order to get a refund of travel tickets and museum tickets. As concerns ToBike, reductions are only for students taking part in the Percorso Giovani Talenti. 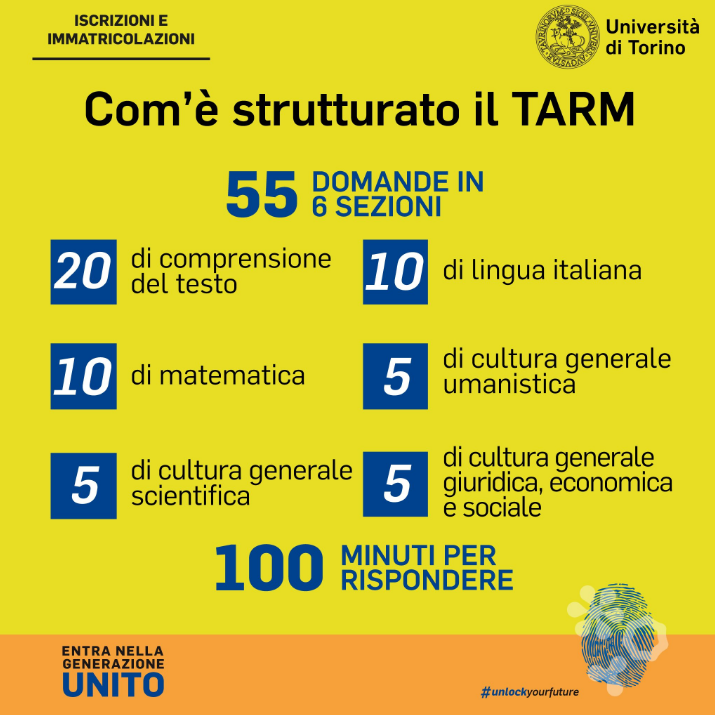 The online request procedure will be available from half October 2018, after the acceptance of participation to the Percorso Giovani Talenti for the students who participate during the academic year 2018/2019 and for students who were part of it during the academic year 2017/2018 and have the requirement to still take part.